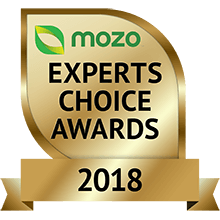 Congratulations to the 2018 winners of Mozo Experts Choice Awards for home insurance. These awards recognise home and contents insurance policies that provide Australians with exceptional value for money and exceptional quality cover and benefits. Start your search here to find a home insurance policy suited to your needs. The Exceptional Value awards recognise home insurance policies that are among the best-priced for the cover they offer. For these awards, we obtained a over 15,000 quotes from each of 36 different home and content insurance providers. For the Exceptional Quality awards, we compared 125 home insurance policies from 36 home insurers. We assessed quality of cover on each product, comparing a wide range of features including accidental damage and flood cover. Mozo also assessed customer experiences when dealing with the insurer as well as their track record of handling disputes with the financial ombudsman services. Great value and feature packed with very generous building cover. Includes accidental loss and damage and excellent underinsurance protection. The cover also applies even when the home has been unoccupied for up to 120 days. A wide range of excesses to choose from plus the option to add cover for accidental damage if you want it. Covers contents while away from home for up to 6 months and full cover for contents while moving. Exceptional value and the flexibility to adjust premiums by choosing from a wide range of excess levels and optional underinsurance protection. Contents are covered up to 20% of the insured sum while moving and temporary accommodation is covered up to 10% insured sum. Comprehensive cover including new for old replacement cover. Includes cover for contents up to 20% of the insured sum when moving, up to 12 months pet accommodation and if you have a home office, contents are covered for up to $12,000. Awarded for its competitive pricing, this is one of the most flexible policies around. Choose what you want to pay for. Basics are covered such as carpet and temporary accomodation, but things like jewellery, tools of trade and veterinary expenses are optional. For WA residents, comprehensive cover for your home and what’s inside. Flexibility to adjust premiums by changing the excess or leaving out accidental loss and damage if you don't want it. Includes built-in top cover for motor fusion and computer equipment. If you’re in SA, this is great value protection for your home and your belongings. Includes a 25% underinsurance buffer built in, generous cover for items such as lock replacement and motor fusion and the largest allowance for building materials (up to $5,000). A great balance of price and cover for your contents. Automatically covered for loss or damage to the contents of your home from events such as floods, storms, fires and theft. Full cover while changing addresses, for contents kept outdoors and computer hardware and software. Also includes cover for up to 6 months away from the home. Sharply-priced contents cover without all the bells and whistles. An offering for the budget conscious which includes a 5% underinsurance allowance, covers contents while moving for up to 14 days and $5,000 for temporary accommodation should it be needed. A great value option for Queenslanders. Mid-range cover with new for old replacement. Flexibility to add personal medical devices and up to 4 items to a value of $2,000 each for cover while away from home. The highest level of cover available from QBE means that you’ll enjoy extra benefits and higher limits across selected items on your policy. Includes generous underinsurance protection of up to 30%, no limit on the cost of debris removal or demolition costs if a clean-up is needed. Claims as a result of power surges is included standard which is a bit of a rarity. Quality insurance means a wide range of events covered and higher policy limits so if you want to have top cover for your home and contents, this is a policy to consider according to Mozo’s money experts. Suncorp’s top-tier product offers a wide range of excess choices and the policy includes cover for accidental damage. Generous underinsurance protection of up to 30% and if clean up required, debris removal and demolition are covered for up to 20% of the sum insured. With Westpac’s Premier Care policy you’re getting the highest level of cover for your home and contents. This policy is one of only a few to offer cover if hit by a storm surge. It also has in-built underinsurance protection of up to 30% of sum insured and covers fusion of motors up to 15 years old. For those with a large gardens, landscaping claims are paid up to $10,000 along with gates and fences up to the sum insured. Having peace of mind is important when your biggest asset is at stake, which is why NRMA’s Home Plus policy stood out in this year’s Exceptional Quality awards. You get all the standard features and benefits of standard home insurance plus automatic underinsurance protection of up to 25%. Other benefits include a no dollar limit on temporary accommodation, emergency storage and temporary accommodation for pets - all covered for up to 24 months. It also includes a very high allowance for covering building materials of up to $5,000. If you’re a South Australian resident after quality insurance cover for your home, SGIC Home Plus ticks the boxes according to our experts. Great standard standard home insurance cover for events like fire, floods and theft (and many more), plus automatic underinsurance protection of up to 25%. Other benefits include up to a 24 month no dollar limit on emergency storage and temporary accommodation for you and your pets. New-for-old replacement should your items require replacing if they’re stolen or damaged. Live in WA and want top quality cover? SGIC Home Plus Insurance has a great range of benefits and features. It includes all the standard events cover like flood, fire and theft but also has great underinsurance protection of up to 25% of the sum insured. There is no dollar limit on temporary accommodation, emergency storage and temporary accommodation for pets, which are all covered for up to 24 months should your home no longer be in a livable condition. If you’re after quality contents cover and you live in a multi-story building, over 50s insurance specialist APIA stood out in this year’s awards. In addition to being covered for events like fire, theft and storm, you get cover for fixtures and fittings you own and that are not covered by body corporate. APIA's excess can be reduced to $0 so you aren't up for a bill when you least want it, and if you are moving home you get full cover for your contents. With the highest level of benefits, and the highest claim limits it’s no wonder why GIO’s Platinum contents insurance won an award this year for Exceptional Quality. It offers some of the most generous cover levels available across a wide range of items such as jewellery, dvd and cd collections, carpets, antiques, personal medical devices and home office equipment. For Exceptional Value Awards, we considered a total of 15,000 home insurance customer scenarios, from these samples we calculated the likelihood that a given product would be among the top 4 quotes for an individual customer. A higher likelihood means that a product is well-priced for a wider range of customers. How well the policy scored on a range of factors including the nature and extent of the insurance cover, and the inclusion of added benefits. In other words, what’s covered and up to what limits? Did you compare all home and contents insurance policies in the market for these awards? We won't have covered every insurance product out there, but we try to include all the major brands - and not just those we have a commercial relationship with. We assessed 125 different contents or home & contents products in this year’s awards. How do I find the cheapest home insurance policy for me? Your first step should be to check out this year’s winners in our Exceptional Value Awards. Our experts crunched the data on over 15,000 customer scenarios and these were the insurers and policies that tended to come out cheaper than other similar products. Many factors go into determining the cost of home and contents insurance such as where you live, the events and limits you want cover for and the value of your home and contents. It’s always a good idea to get more than one quote as many insurers will price policies differently so by shopping around you can be sure to get the best deal for you. For home insurance, we considered a total of 38 features with the essential ones being: accidental damage, underinsurance protection and 24/7 phone service. If you’d like to see the full list, read the methodology report.